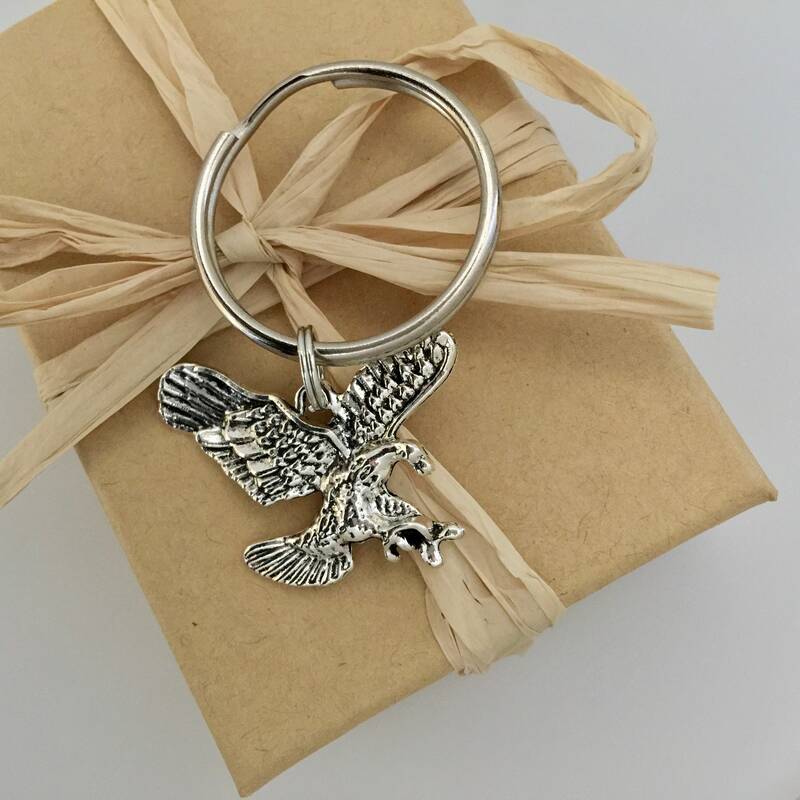 This keyring is a durable antique silver American Eagle. 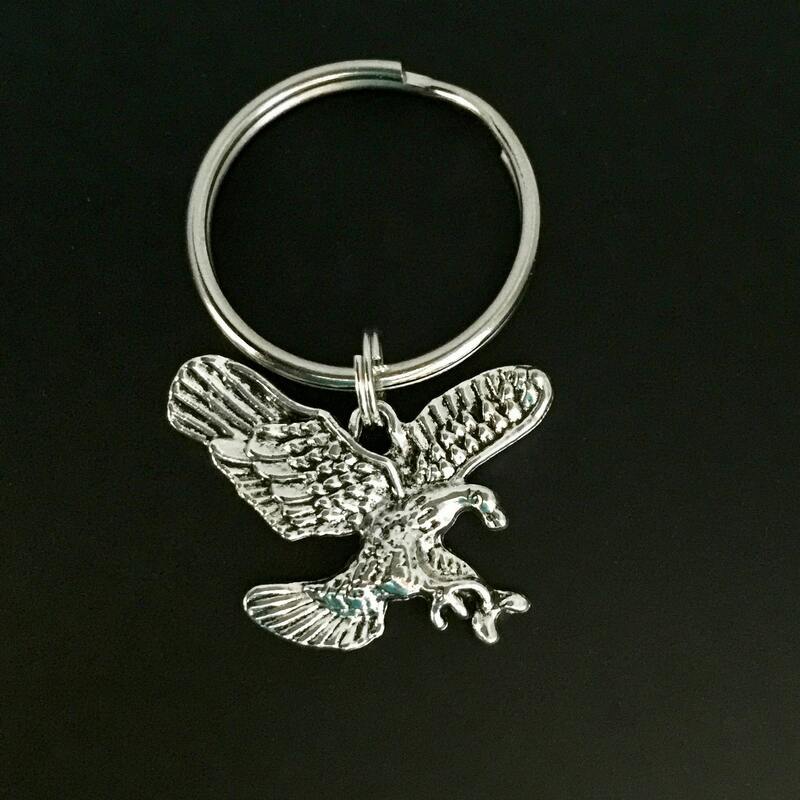 The eagle charm is approximately 1 1/4" in diameter and including the keyring it is 2" in total length. 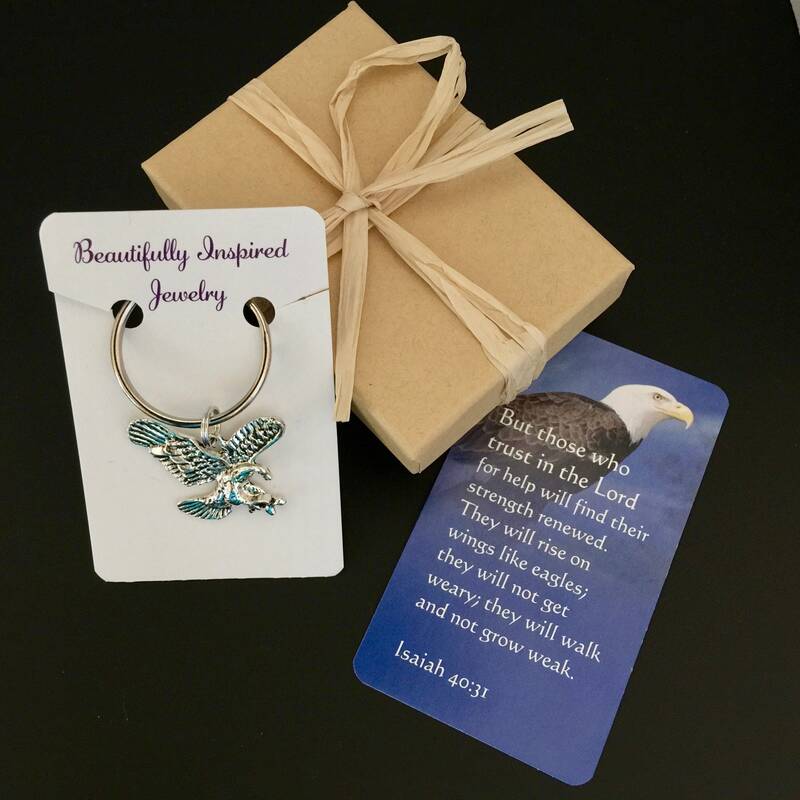 This makes a great stocking stuffer or thoughtful gift for a guy. 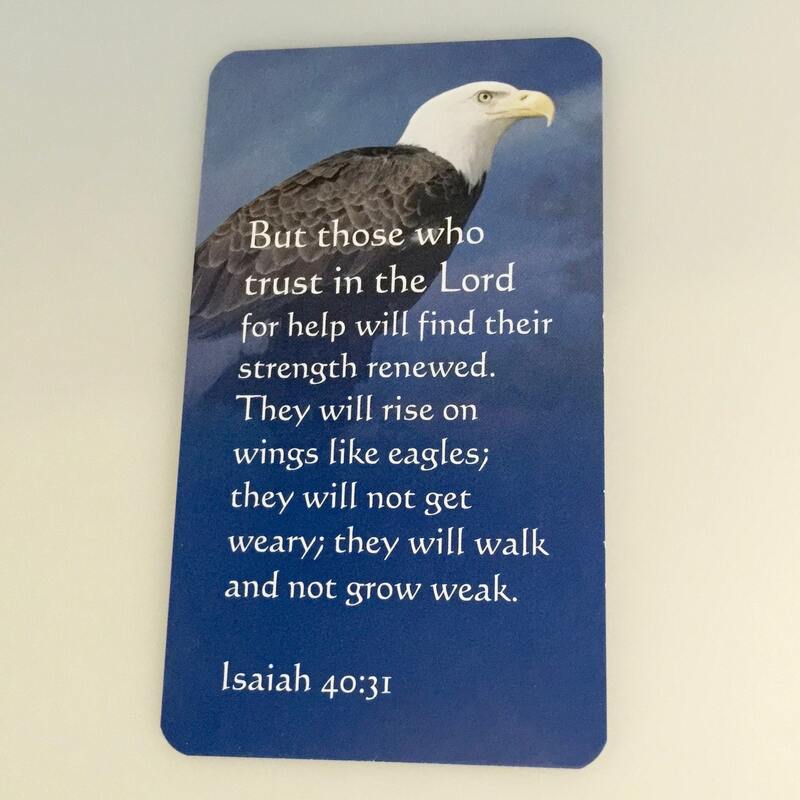 Also appreciated by anyone who has served in the military.